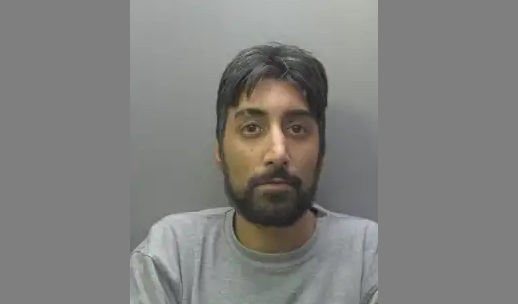 Iltaf Hussain, 34, and Joanne Hollis, 39, went to the branch of One Stop, at the Parnwell Centre, on 9 December armed with a rounders bat and a knife. Hussain, who had only been released from prison days earlier, ran towards the payment area carrying the bat and was helped over the counter by Hollis. Hollis produced the knife and held a bag open while Hussain placed bottles of alcohol and cigarettes inside. They both left the shop, but were arrested by officers conducting patrols in the area shortly afterwards. The court heard how the previous day Hussain had stolen washing powder from the same shop, by brazenly walking in, placing the items in a bag and walking out again without paying. The pair admitted robbery and possession of an offensive weapon. Hussain also pleaded guilty to an additional charge of theft from a shop. weeks for the theft to be served consecutively. Hollis, of Somerby Garth, Peterborough, was sentenced to 40 months for the robbery and an additional 12 weeks added from a previous suspended sentence. Detective Constable Mat Belfitt said: “Hussain and Hollis thought nothing of going into the shop armed, terrifying staff in the process, and stealing these items.